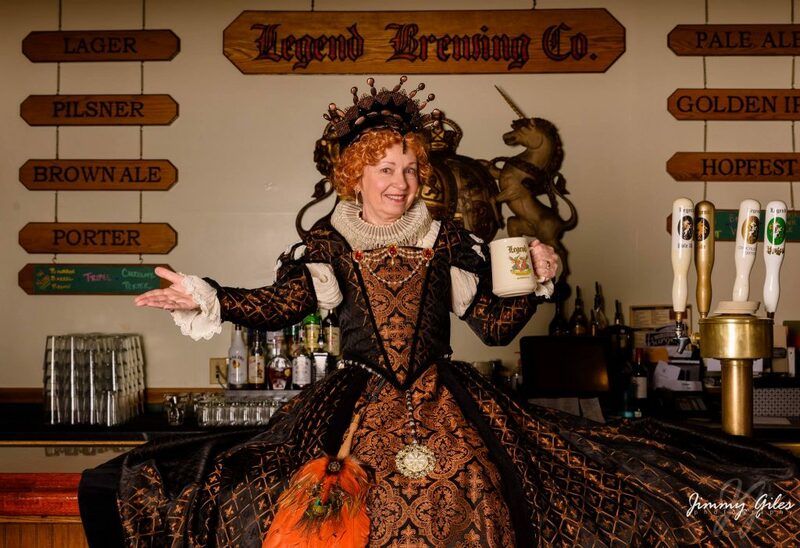 Enjoy a Renaissance “romp” with Queen Elizabeth I and her court, as they arrive at “Richmond Palace” (a.k.a Legend Brewing) in “Richmond-upon-Thames, England” during the Queen’s Royal Progress of 1602. Courtiers, including Lord Robert Dudley, Sir Walter Raleigh, Sir Francis Drake, Mary Queen of Scots, and many Ladies-in-Waiting, will interact with the Queen for a wry twist on world events. Costumed members of the Richmond Renaissance Dancers will portray the Queen and her courtiers and will also provide period dancing.